In order to keep the Jensen site user friendly and easy to navigate, we've consolidated things a little and created this updated Museum area. Here you'll find photos and descriptions of rare Jensen Engines, a bit of Company History and other odds and ends of information we hope will make your Jensen Experience even more enjoyable. Cylinder Bore = 1.83 in. Cylinder Stroke = 2.25 in. by downloading our free "Classic Jensen Steam Engines" screen saver. A Biography of Tom Jensen, Sr.
"My Steam Engines will be safe, fun, realistic and engineered for a lifetime of enjoyment". Tom Jensen's genius for designing and making steam engines was evident at an early age. In 1911 at the age of 10, he fashioned his first engine using steel cans, after becoming enamored with the horse drawn steam threshers that visited the family farm in his native Denmark. Twelve years later, while completing schooling for his Mechanical Engineering Degree, Tom built a 175 pound monster steam engine, complete with a hand made generator, which today, we know as "Old Number 1". This engine was so well designed and executed that it won a Silver Medal at the 1923 Denmark State Fair. Today, almost 80 years later "Old # 1" still runs like new. (This extraordinary engine can be seen up above on this page.) Tom did not know at the time that this engine would prove to be the seed from which, nine years later, in Jeannette Pennsylvania, the Jensen Steam Engines of today would grow. Like millions before him, Tom came to America in search of a better life and the promise of a career in his chosen field of Mechanical Engineering. The Great Depression quickly put a damper on this young Engineer's plans for a "real job". We know today that this was a blessing in disguise for future steam enthusiasts and kids... for to keep busy and stay focused until he found a job, Tom made up six samples of a miniature, 12 pound brass steam engine turning a little generator to light a flashlight bulb. He took these samples to Kauffman's Department Store in downtown Pittsburgh to be reviewed by their toy buyer. As luck would have it, another buyer from the famous F.A.O. Schwarz Toy Store happened by, saw the samples and the rest is history. When the initial order of 50 engines arrived in New York City, other retailers quickly took notice... Macy's and then the well known Spiegel Catalog Company became dealers, selling literally thousands of the engines. In later years, Sears Roebuck, Penney's and Montgomery Ward's would all feature Jensen Steam Engines in their catalogs. The start of World War II brought the toy industry to a sudden stop. This was especially true at Jensen, because our engines used, as they still do today, valuable brass, nickel, stainless steel and cast iron, which were restricted war materials. This shut down, however, was not to last long. While the Lionel Train Co. raised chickens for the war effort and Erector sets gave way to munitions, the U.S. Army declared Jensen Mfg. Co. to be a "War Essential Industry" and issued an exemption from the manufacturing ban. The Army's Chemical Warfare Department had discovered that the mighty Jensen "Toy" Steam Engine was powerful enough to turn an air pump that tested for the presence of poisonous gases. Thus Tom was off and running, working 7 days a week to produce his engines, by the thousands, for the war effort. 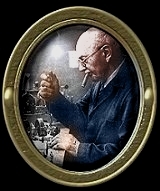 Tom Jensen enjoyed life for 92 years, spending the last 61 years of his life working in his little Jeannette Steam Shop, inventing, creating, crafting and perfecting the highly specialized tooling and dies used in the manufacture of his Jensen Steam Engines. In 1992, President George Bush wrote to Mr. Jensen, thanking him for his "...unique contribution to America". Mrs. Jensen, who recently passed away, had this treasured letter on display for all to see. Tom left a legacy of not just his tooling and the all important blueprint drawings for each and every part, but also a son, Tom, Jr. and a grandson, John, both of whom are also Mechanical Engineers, to carry on this unique family tradition. Today, Jensen Steam Engine Manufacturing Company continues to thrive under the solid leadership of Tom, Jr. and has matured to become a key player in the field of education. Four generations of students, hobbyists and scouts have developed their interest in, and understanding of, engineering, mechanics, physics, electricity and mathematics using a Jensen as a learning tool... and... maybe because they are just plain FUN! Because our manufacturing machinery is based on 1920's technology, the Jensen Steam Engine can only be made by hand. (Sorry... no robotics or automation here, just quality hand-craftsmanship!) This is the reason you won't find a Jensen in every hobby or toy store... we just can't supply all that want them. Although still "original" in design, some of our engines now feature state-of-the art boiler heaters which produce two or three times the wattage of older models. This means today's JENSENS have more power to drive the biggest Erector Set models, generators and many other devices. Accessories, never before available, are now standard on most engines... included are specially formulated Pennzoil lube oil, hand painted flywheel spokes and the fabulous new multi-speed, 2-step pulley, to name a few. Now, enjoy a leisurely visit to the rest of our Web Page... be sure to print out our free Online catalog... and please, tell a friend about our small corner of the internet!